Like most artists, I am constantly collecting tidbits of intrigue. 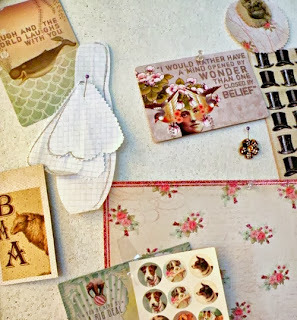 A small scrap of antique lace, a pretty postcard, random bits of nature- all necessary to the creative process. 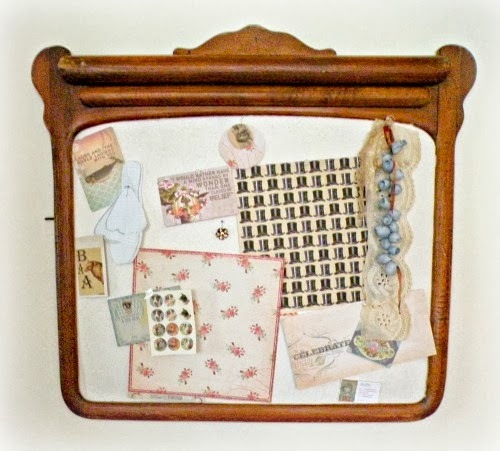 To maximize their inspiration potential, these tidbits need a proper idea board. 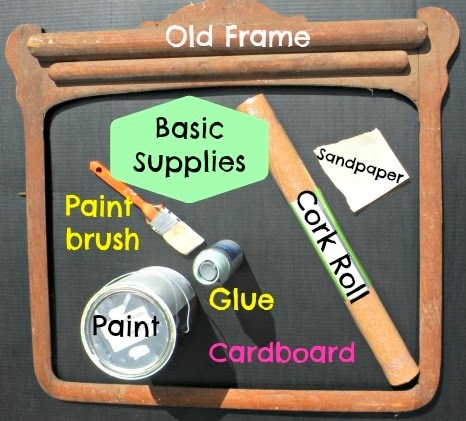 My favorite idea boards begin with an up-cycled vintage frame and left over supplies lurking in the garage. 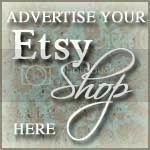 I purchased this vintage mirror frame for $5 at an estate sale but any large frame will do. Initially I was going to paint the frame white, but after sanding and cleaning the frame a beautiful vintage oak patina begged to prevail. With scissors, or exacto knife, cut cardboard to fit frame opening. 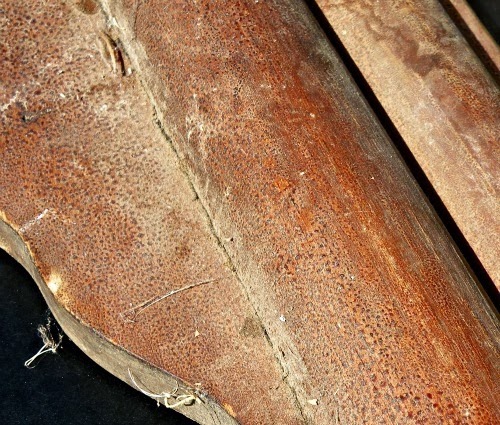 Cut cork same size as cardboard. 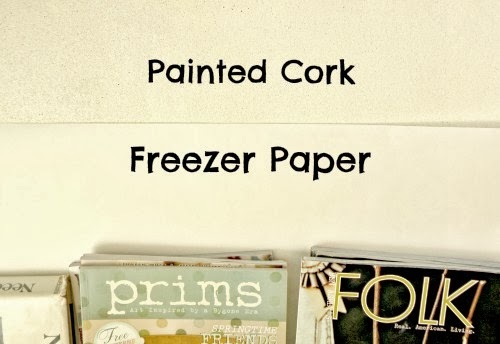 Flatten cork board and apply a thick coat of paint. 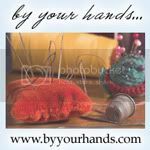 I started with a paint brush but soon gave it up for a paint roller. Cork board is porous and the brush was taking forever to give a good coat. 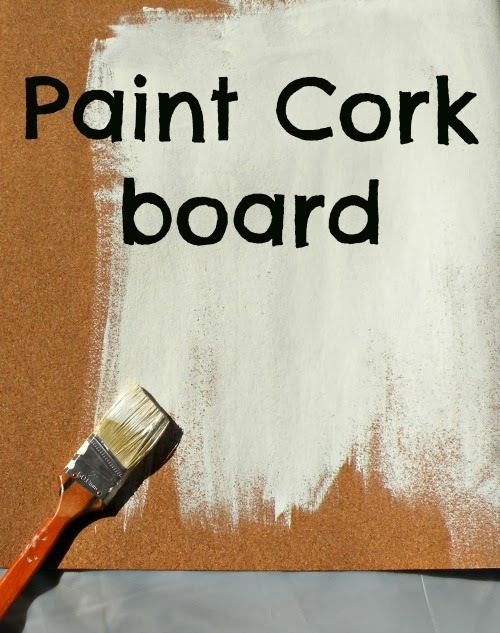 Allow painted cork board to dry thoroughly. Once the painted corkboard is dry it is ready to be glued to the cardboard. 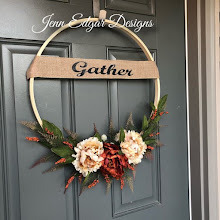 I recommend using Elmers wood craft glue for this project. 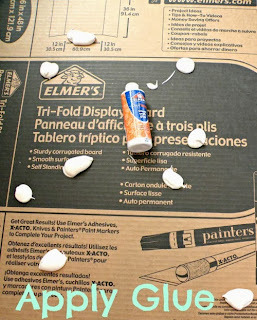 Drop large dots of glue on cardboard back. 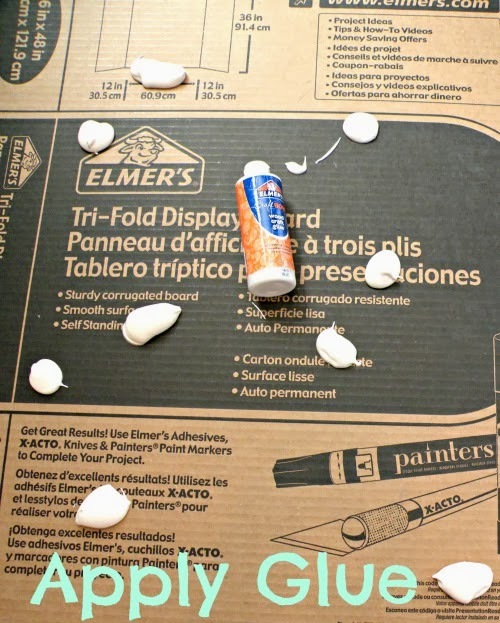 Spread glue evenly in a thin coat to cover the entire surface. 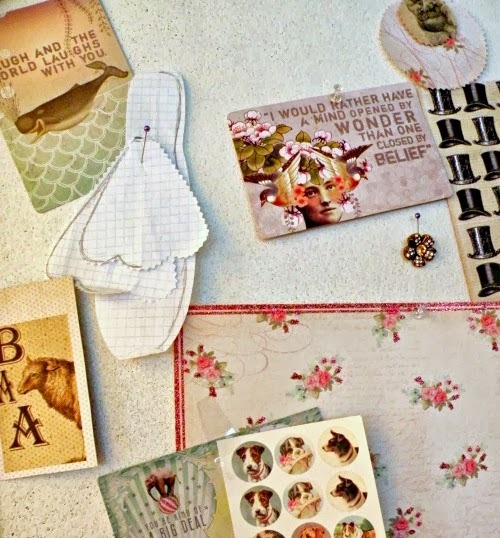 Adhere corkboard. 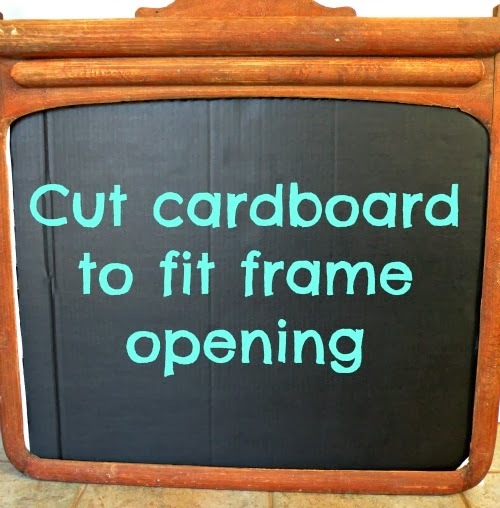 To ensure a strong, flat bond, place newly glued cardboard and corkboard on a flat surface. Cover cork side with freezer paper and place magazines or books on top for weight. Let sit for at least 4 hours. 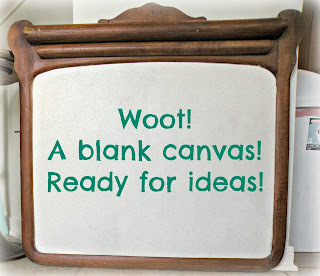 Insert dry corkboard in frame. 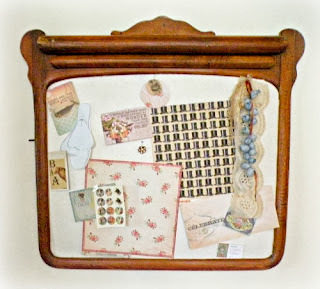 Secure with small tacks, or frame backing, and begin pinning up inspiration! I just love a blank slate. 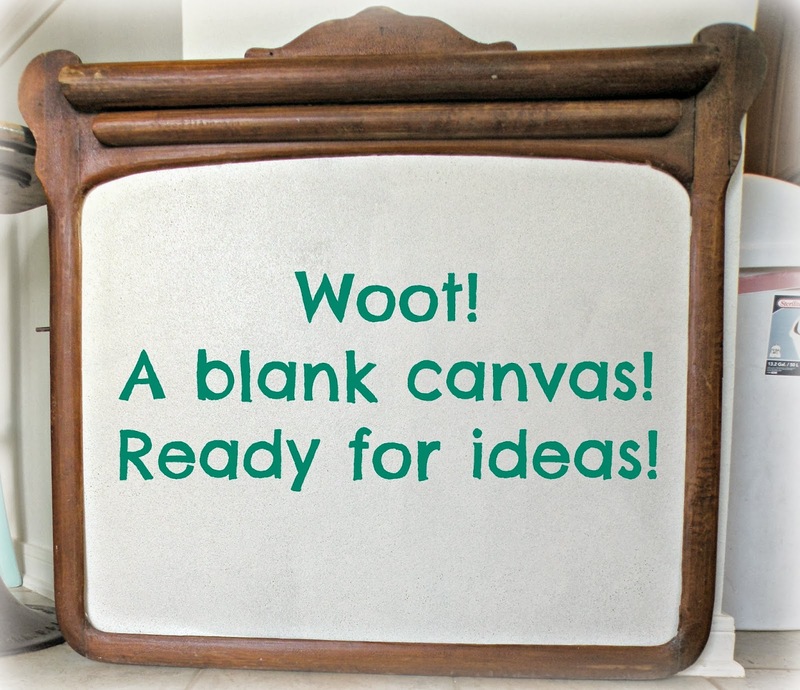 White space never lasts long in my studio! Random bits of inspiration now have a home in plain sight where they can be accessed with ease and not get lost in the studio shuffle.